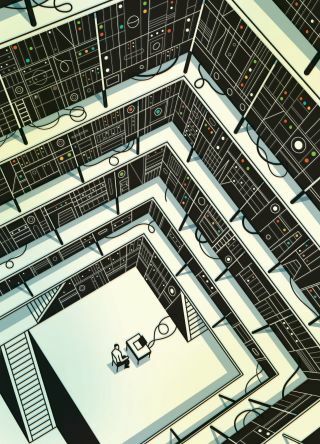 Since one of the projects we are doing is a kind of ARCHIVE, here is an article from the New Yorker about the internet as an archive. The average life of a Web page is about a hundred days. Strelkov’s “We just downed a plane” post lasted barely two hours. It might seem, and it often feels, as though stuff on the Web lasts forever, for better and frequently for worse: the embarrassing photograph, the regretted blog (more usually regrettable not in the way the slaughter of civilians is regrettable but in the way that bad hair is regrettable). No one believes any longer, if anyone ever did, that “if it’s on the Web it must be true,” but a lot of people do believe that if it’s on the Web it will stay on the Web. Chances are, though, that it actually won’t.